Spring has arrived. It’s a time of budding trees, sunshine, and getting ready for summer. 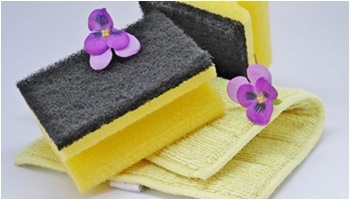 It is also a great time for a “spring cleaning” of your internet browser. Complete the three steps below to ensure a better experience on the library website and every other website you visit. If you log into OneSearch, you’ll notice some changes to the interface and privacy settings. 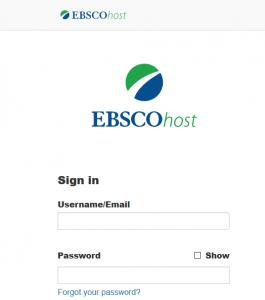 The library’s OneSearch service is provided by the EBSCOhost company, which is why you will see the words “EBSCOhost” on the sign-in page. We realize this is confusing and have requested improvements to the sign-in page interface. These changes will not affect the functionality of your EBSCOhost/OneSearch account and your login and password will remain the same. (The EBSCOhost/OneSearch account is a personal account you can create to save search results to folders. It is different from your MyUnion login that is used to access UI&U services OneSearch, interlibrary loan, student email, and CampusWeb.) If you cannot remember your EBSCOhost/OneSearch username, please contact a UI&U Librarian for assistance. Please contact a UI&U Librarian if you have any questions or need assistance. If the “Find Full Text” or “Request through Interlibrary Loan” links in OneSearch are not working, try clearing your computer cookies. This should solve the problem.